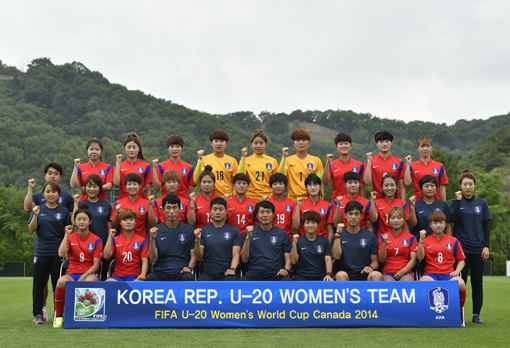 The young soccer stars representing Korea and Canada at the FIFA Under-20 Women’s World Cup Canada 2014 have been selected. Team Korea will have the honour of wearing Taegeuk mark (태극마크) and Team Canada will have the honour of wearing the maple leaf in this tournament coming up in August. Taegeuk Nangjas (태극낭자) meaning the Taegeuk Ladies are getting ready for their upcoming challenge! Like always, their ultimate goal is to win the tournament. Jang Sel-Gi, the goal-getter for the team said, “We will work together in unison with one mind to pursue our goal.” She also said that she’s going for the top scorer of the tournament and is also hoping to be recognized as the best striker. Taegeuk Nangjas will face England, Mexico and Nigeria as a member of Group C. Their first game will be against England on August 6th at 5 p.m. (local time) at the Moncton stadium. Then, Team Korea will play again on August 9th at 5 p.m. (local time) against Nigeria at the Moncton Stadium for their second group match. South Korea’s last game for the group round will be against Mexico at the National Soccer Stadium located in Toronto. On the Other hand, the Canucks, are very excited that they will get to play in front of a home crowd, since the tournament will be taking place on home soil. 21 Canadian Ladies’ common goal is to win the tournament. Canadian ladies will face Ghana, Finland and North Korea as a member of Group A. The Canadian team will kick off the competition in a match against Ghana on August 5th at 8 p.m. (local time) in Toronto. Then, the Canucks will face Finland on August 8th at 8 p.m. (local time) in Toronto. Canada’s last game for the ground round will be against North Korea on August 12th at 7 p.m. (local time) at the Olympic Stadium in Montreal. Canadian head coach, Andrew Olivieri said that he selected a team that will try to win a world championship on home soil. Several players on the team have international experience at youth/senior levels. Also, four members have already represented Canada in youth FIFA World Cup action as well. Defender Kinley McNicoll from Oakville, ON will wear the armband as team captain. 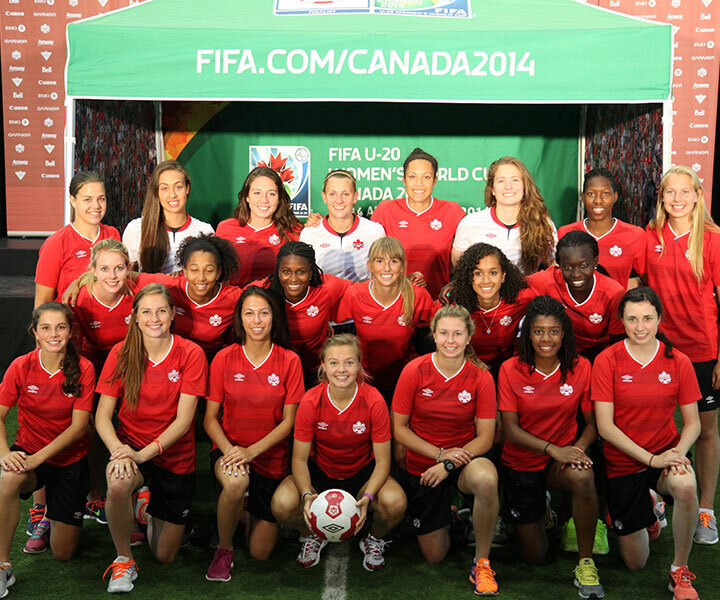 McNicoll was a member of the Canadian team that took part at the FIFA U-17 Women’s World Cup Trinidad and Tobago 2010.